From how-to tutorials to meta-humor, these collections offer a comprehensive look at the world of Pinterest. 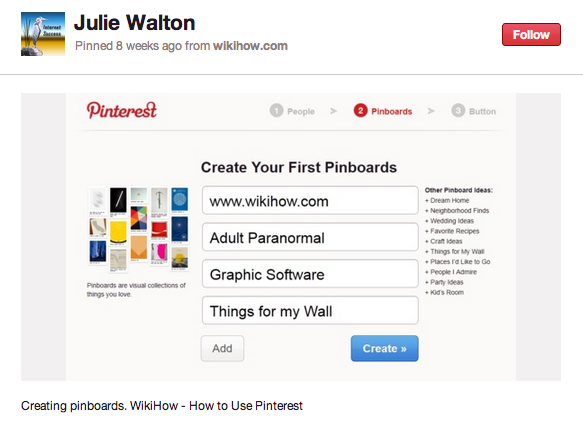 If you’re looking for information about Pinterest, chances are there’s a pinboard for it. After the image-sharing community exploded from obscurity into every tech news outlet, users developed a healthy sense of self-awareness. 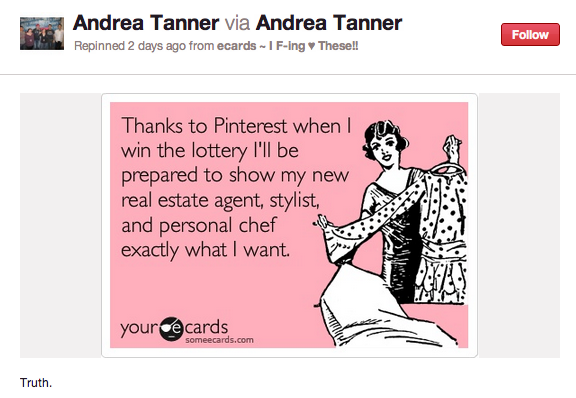 From memes about Pinterest to weekly #Pinchats, pinners are meta. Want to know exactly what’s up on Pinterest? Take Pinterest’s word for it. Think of it as a visual RSS feed. Instead of having to visit Pinterest’s official blog to check for updates, simply follow this board. It notifies followers every time Pinterest adds a new post. 2) Everything Pinterest by WTFPinterest? Curated by Pinterest comedy blogger Allison Tyler, it features all the news that’s fit to pin. Whether it’s serious, like about UNICEF’s sobering Pinterest campaign, or silly (Google Ventures cofounder deriding “Pinterest for cats”), Tyler archives it here. Thanks to her open-minded pinning, this board updates more often than any other on the list. The #Pinchat founder keeps up to date with Pinterest with an emphasis on both Pinterest as a business and as a marketing tool. You’ll find interviews with CEO Ben Silbermann, ideas for brand campaigns, and warnings about the legal implications for businesses using Pinterest. Like Pinterest? Like entering contests? Follow this board to enter them all—and up your chances of winning something. Lieberman and the #Pinchat community keep their eyes peeled for each new contest a brand puts up. Currently open contests may have lucky entrants walking away with a dream wardrobe or a vacation, simply by pinning. Nobody knows Pinterest better than its users. Anyone can join this group board to contribute the pins about Pinterest’s story that mean the most to them. 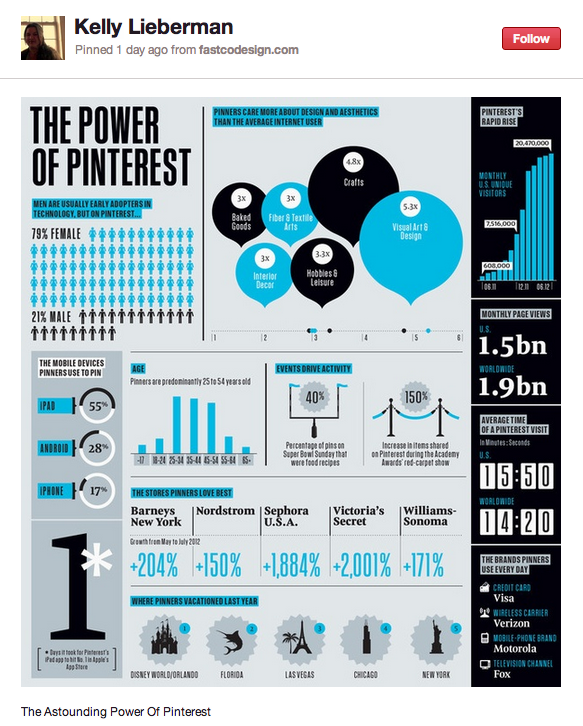 What is the most important part of the Pinterest story to its current users? To some, it’s the enormous audience, which they illustrate by pinning infographics. To others, it’s the network’s marketing potential. Join to add your part of the story. When the average Pinterest user clocks 405 minutes a month on the image-sharing network, it’s important to have a sense of humor about this new obsession. Tanner pins someecards, image macros, and any other visuals that might make a regular pinner crack up. Bored of your Pinterest routine? Here are some how-to tutorials for the intermediate pinner to shake things up. You might be an ace at creating new pinboards, but do you know a surefire technique for sourcing and crediting an image you want to pin? If that’s too easy, try hacking your site to find its hidden Pinterest statistics. There are nearly 1,000 brands on Pinterest right now, and this board is the closest you’ll get to a real-time count of them all. From Bacardi to Hello Kitty, the range is unbelievable. 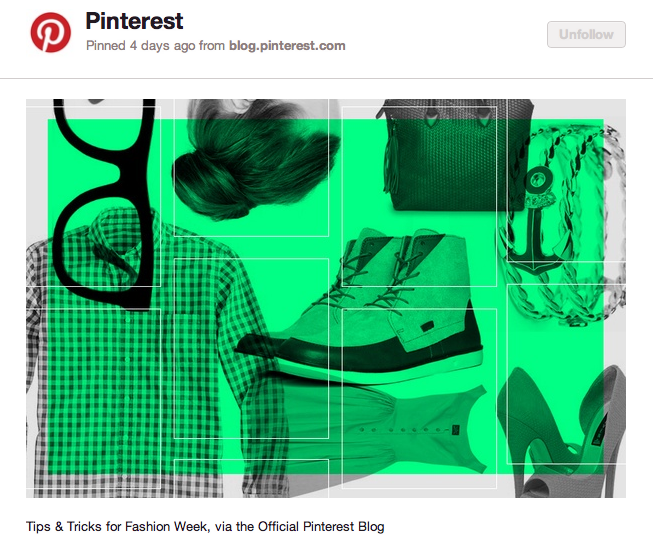 Why is it a good thing to know the brands that live on Pinterest? One reason is to keep up on the rewarding contests they sometimes offer. Of course, we had to include one of our own. Looking for big name pinners with lots of followers? Celebrities are a good place to start. And it isn’t just style icon celebs either. We found the Pinterest profiles by the likes of Keith Urban, Ann Romney, and Snooki.